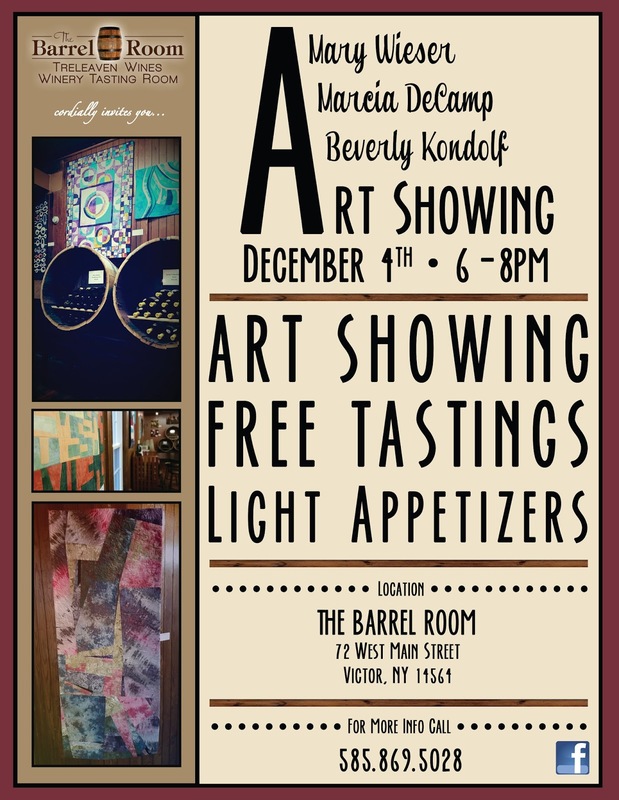 Mary, Bev, and I are showing some of our work at The Barrel Room in Victor, NY, from now through January. 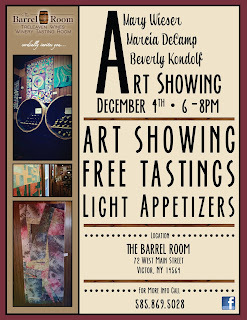 The opening reception is Friday, December 4th, from 6 to 8 pm. We hope you'll be able to join us! We worked with Travis to decide which pieces to hang around the room. And Travis supplied the hammer and nails and assistance with the hanging.